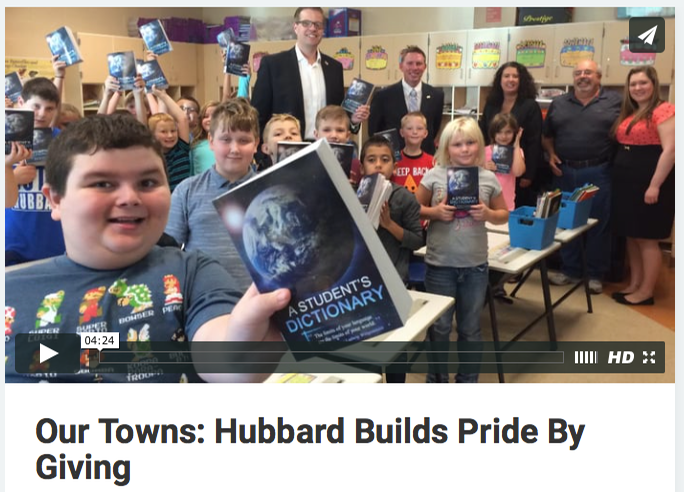 A group of volunteers consisting of township police, city police, pastors, firefighters, business owners, teachers, and dedicated community members converged to begin fundraising efforts to secure funds to purchase every first grader in Hubbard a three-season coat embroidered with their school's logo. ​ The purpose of the coat is to create an opportunity for respected members of our community to interact personally with each child, and to give them something of value to show them the caring and kindness available to them in their hometown. Family income has no bearing on the coat giveaway. ​We hope that some of these interactions [with the community members and leaders] turn into a mentoring type of relationship as these kids grow. We hope they can walk down mainstreet and recognize that police officer, or that fireman, or that business owner, or that person from the church.